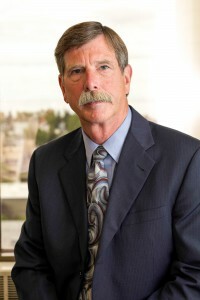 Mr. Freeman joined Holmes Weddle & Barcott in 2003, prior to which he was a shareholder in the Alaska law firm of Freeman and Watts (formerly known as Wade & De Young and later as De Young Freeman & Watts). He has been practicing law in Anchorage since 1978. Mr. Freeman practices in the Firm’s Anchorage office, providing representation in labor and employment relations law, construction claims and litigation, and related business law matters. He has represented management in wrongful discharge, discrimination, harassment, and wage and hour litigation, as well as in labor negotiations and arbitrations. His representation of clients in construction law includes work for owners, architects, engineers, contractors, subcontractors, suppliers, and vendors. His business law practice includes handling transactional matters for these management and construction clients, and also involves commercial, corporate, and limited liability company matters. Mr. Freeman is an active member of the Anchorage Bar Association, the Alaska State Bar Association, and the American Bar Association, in which he serves as a member of the Labor and Employment Law, Public Contracts Law and Law Practice Management Sections.